Piaget weren’t kidding around for their SIHH 2018 presentation. 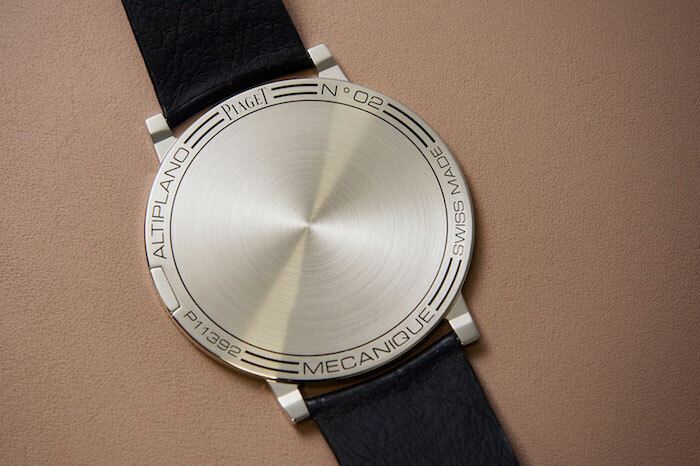 While many exhibitors this year focused on archival revamps and special editions, the La Côte-aux-Fées manufacture unveiled the Altiplano Ultimate Concept Watch: a record-breaking timepiece that lives up to its name with the thinnest dimensions in the world. At an overall thickness of 2 millimetres — less than the average strand of pasta — the Ultimate Concept represents a seemingly impossible mechanical feat, drawing on highly experimental design and engineering practices in order to produce the SIHH’s most talked-about watch. To be sure, there remained naysayers aplenty: those who argued that the Ultimate Concept had no practical applicability — it’s ostensibly so fragile that press weren’t allowed to take wrist shots with it — and that (given extremely favourable testing conditions) it was questionable whether the watch had legitimately broken any records. It should be said that a large number of these criticisms missed the obvious (even self-evident from the watch’s name): the Ultimate Concept is not and was never intended to be a market-ready consumer product. 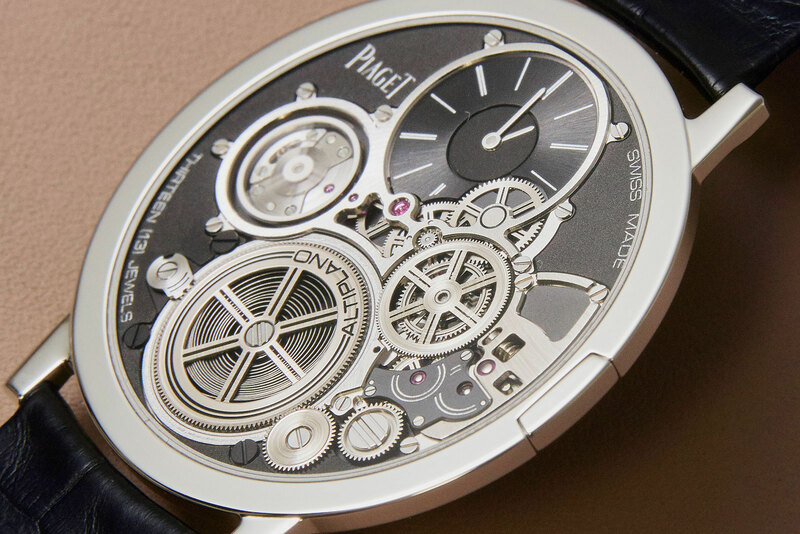 Not so much aimed at mainstream collectors as the industry itself, Piaget’s unique design may help to establish the future blueprint for ultra-thin watchmaking; and that alone makes the Ultimate Concept worth talking about. The most original aspect of the Ultimate Concept’s design is what Piaget refers to as the “2 in 1” structure: elimination of the traditional distinction between dial and movement. 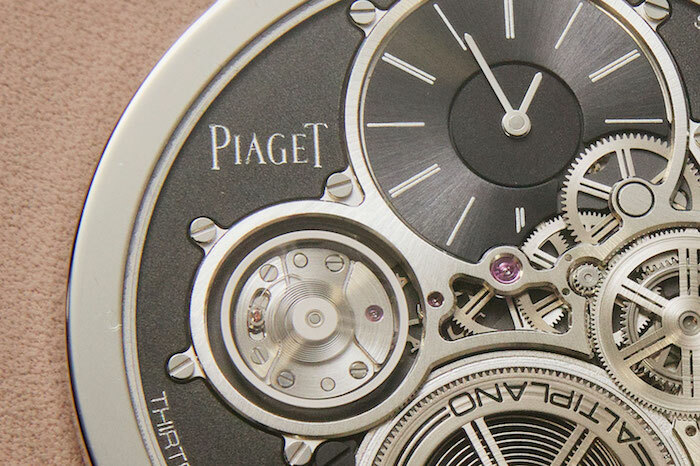 In order to drastically cut down on overall width, Piaget’s design team gave the casing of the Ultimate Concept a dual function as both bridges and baseplate. The case secures moving and energy capturing components, essentially making the latter inextricable from the rest of the watch. Given the extreme mathematical confines within which Piaget was working — for individual components, often less than a millimetre — you’d think that the Ultimate Concept would run the risk of disappearing onto flat surfaces. Not so. The lack of three-dimensionality, seemingly implicit in this kind of design, is resolved by way of a rethought layout which emphasises openness. 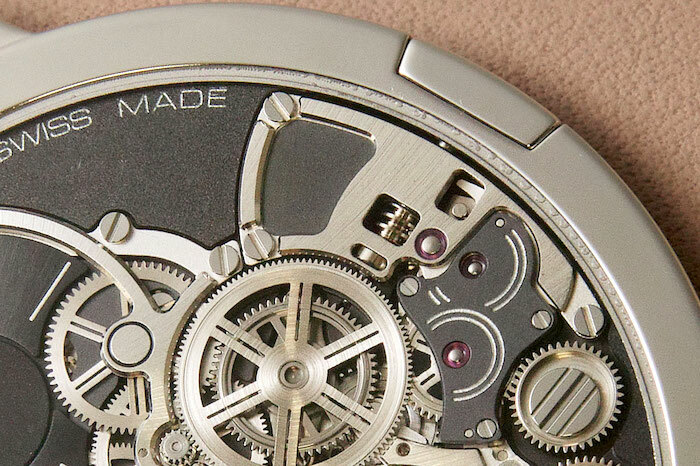 For instance, the barrel (at the 6 o’clock position) features a distinctive coverless construction and sits atop a mainspring that is directly integrated into the watch’s 2 in 1 frame. 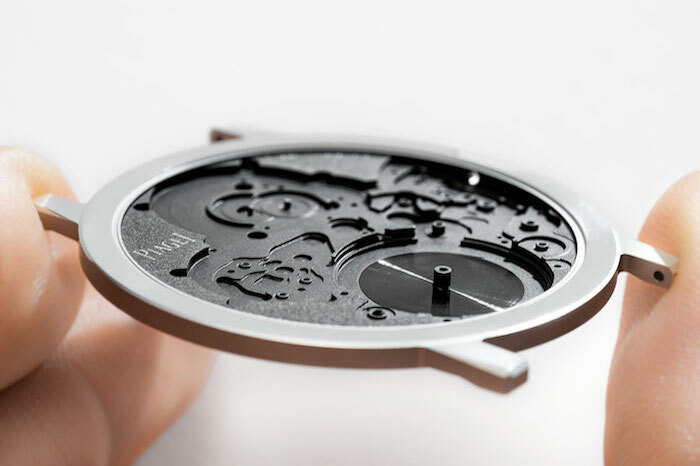 Piaget also managed to simulate a certain level of depth through their uncompromising finishing process. Individual wheels are decorated in an alternating combination of sunray and satin brushing, further breaking up the feeling of an uninterrupted flat plane. Another distinctive element of the Ultimate Concept is its telescopic crown. In order to streamline the watch’s overall proportions, the design team at Piaget made the deliberate choice to integrate the winding crown into the caseband. When the time requires adjustment, the appendage can be extended from the caseband via a spring clip. This being a concept watch and all, it’s unlikely the crown will get regular use, and (more likely than not) is incapable of withstanding too much wear-and-tear at this stage of the R&D process. Nevertheless, Piaget’s use of the spring clip design is fairly novel; once refined, it could trickle down to more mainstream watches. It’s undeniable that the design behind the Ultimate Concept has paradigm-shifting implications. That said, fine watches only ever attain true grail status in the wild, and Piaget’s newest prototype has a long way to travel before it’s ready for real world scrutiny. But in an industry where brands habitually hitch their horse to the brittle post of derivation, it’s exciting to know that some remain dedicated to pushing the limits — practicality be damned. To find out more on the making of the Altiplano Ultimate Concept, visit Piaget.